Following the magnificent opening party of Ushuaia Ibiza Beach Hotel last Saturday, Luciano will host an event at the opulent outdoor venue every Thursday throughout the summer. From 7 June the Cadenza boss will showcase some of his favourite acts and DJs in electronic music, who will play alongside him on the huge stage at Ushuaia. The line-ups, as expected from a Cadenza-related event, feature some of the most credible, forward-thinking, and exciting names in dance music. 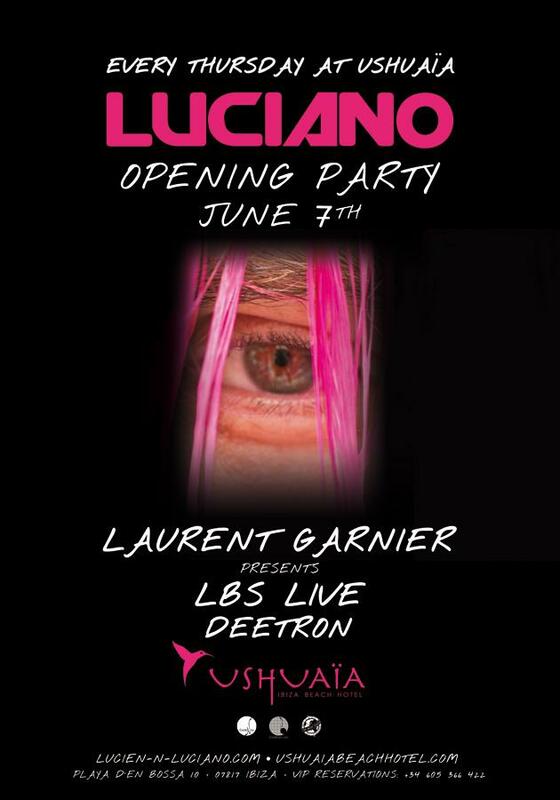 At the opening party next Thursday, Luciano has asked French hero Laurent Garnier to present his L.B.S. group, and top Swiss producer and DJ Deetron will also play. For a flavour of Deetron's style of DJing, check out his recent RA podcast. Luciano will close out every party with one of his signature, mind-altering DJ sets. The parties start at 5PM.